This charger is not recommended for aviation batteries. FAA Approved Chargers are available in our Aviation Charger section. 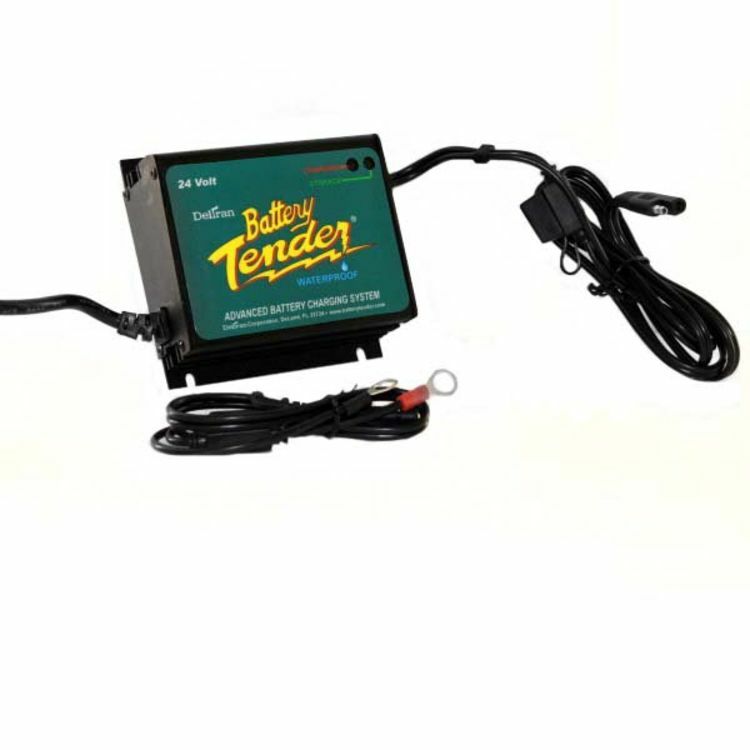 The Battery Tender 24v 2.5 Amp Power Tender Plus (022-0158-1) is WATER RESISTANT, Shock & Vibration Resistant, and Lightweight (LESS THAN 4 POUNDS) compact charger designed for either portable operation or permanent mounting. Charges and maintains both flooded and sealed, maintenance free, AGM, lead acid batteries. 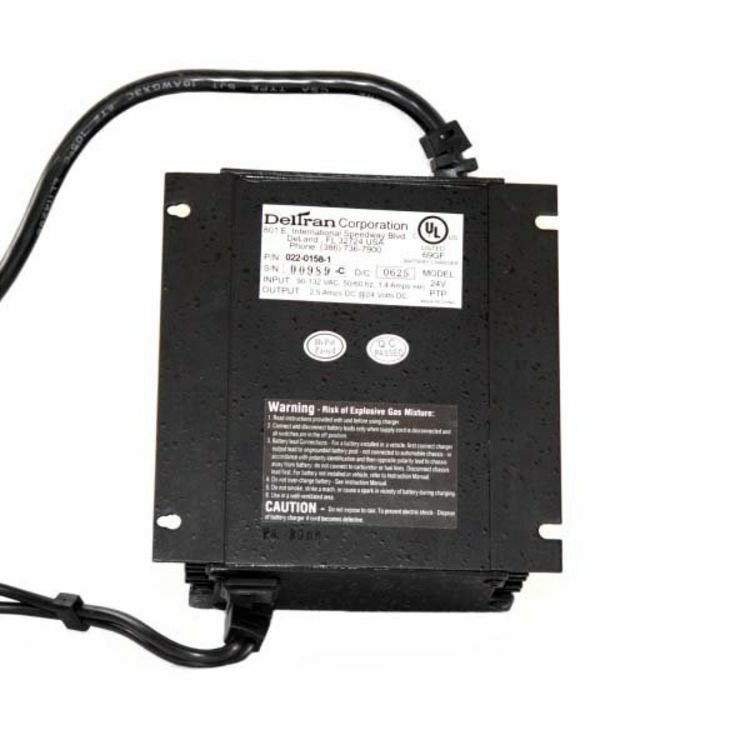 The Float / Maintenance stage maintains batteries at proper storage voltage without the damaging effects caused by off brand trickled chargers. The Power Tender PLUS is easy to use, it’s rugged, its compact, it’s packed with power, and it’s backed by the reputation of the undisputed battery charger industry leader, DELTRAN. 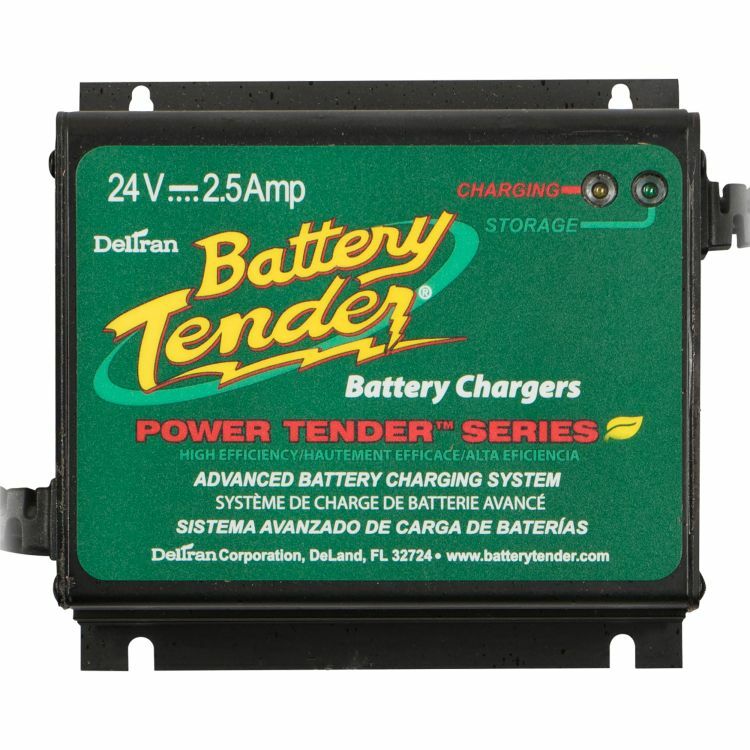 Excellent charger for 24 volt stand-by systems such as generator sets. Each charger comes with one fused quick disconnect ring set. Charges any size (capacity) lead acid battery. THIS UNIT IS NOT APPROVED BY THE FAA or for TRUE GEL BATTERIES. DO NOT USE WITH AVIATION OR TRUE GEL BATTERIES. For example, the maximum recommended recharge voltage for GILL AVIATION batteries is in the same range as true Gel batteries, even though some GILL AVIATION batteries are flooded cells. Do you own the 022-0158-1? Please, tell us what you think about it. It helps us provide you with better products. Please note that it may take up to 72 hours for your review to appear.